Ford India have plans to launch as many as around 8 cars by the year 2015 in India and from them, some would be seen soon. These entire models will be global products sold in many parts of the world. The first product among such popular Ford cars was the all new Fiesta sedan that was launched in 2011. The next big launch is that of the EcoSport in 2013, while the all new Endeavour SUV also should be launched soon. Ford cars carry the looks and features of their brand name along with the cool logo of Ford and they are present in every segment in India that tells us about the grip of the company over the country. What seems interesting is that the Ford Kuga was spotted at ARAI (Automobile Research Association of India) which is a government agency that certifies all new vehicles that are supposed to be introduced in the country. 2013 Kuga could be one crossover that Ford is planning for India which is much bigger than the EcoSport could be pitted against the likes of the Mahindra XUV 500 and the Skoda Yeti in terms of price positioning, thus filling the gap that Ford will have between the EcoSport and the Endeavour SUV cars. The new Ford Kuga pictures were unveiled at the Geneva auto motor show held this year. The 2013 Kuga now comes with brand new styling, better interiors with more space and a new range of engines. The engines in the Kuga’s model will include a 1.6 Litre Eco Boost turbo petrol engine and the 2 Litre turbo diesel TDCI units available in two states of tune, 140Bhp and 163Bhp. Both front wheel drive and all wheel drive variants are available internationally. 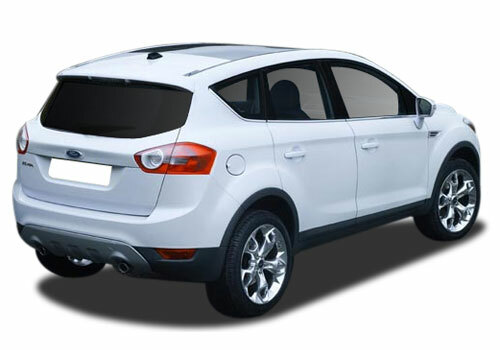 Ford Kuga features would be very innovative like one in which waving a foot under the rear bumper will open the rear hatch door. Some other includes a parallel parking aid Active Park Assist and a sensor-based Blind Spot Information System. 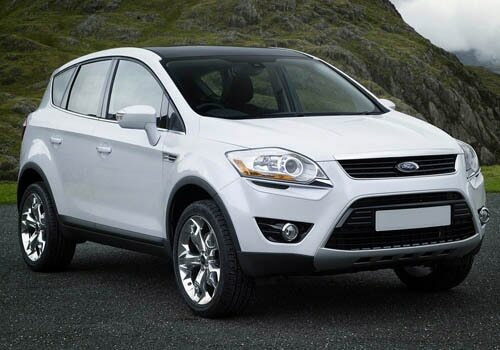 Ford Kuga price isugh not revealed but it is expected to be in the range of around 12 to 15Lakhs in India. Ford India has not yet come out with the official statement of launching the car but this compact SUV after being spotted at ARAI is very much in news and the launch is to be announced soon. The car would create the own segment for itself as it is like different looking stylish small SUV. So, until we hear more about this straight from the horse’s mouth, the story will remain the same. I shared that Mercedes C-Class 250 CDI better than its competitors.